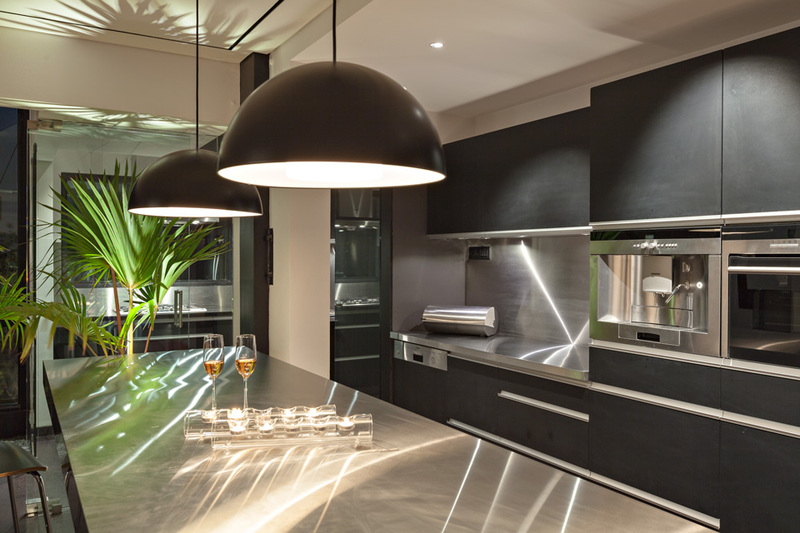 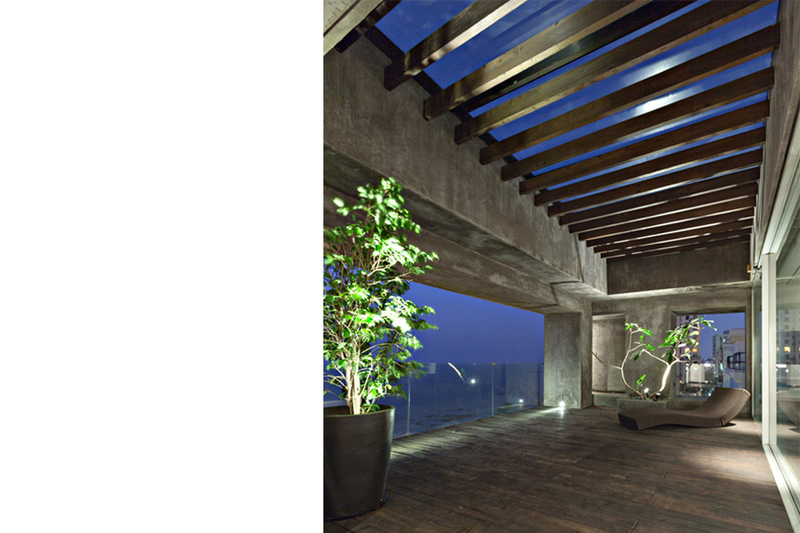 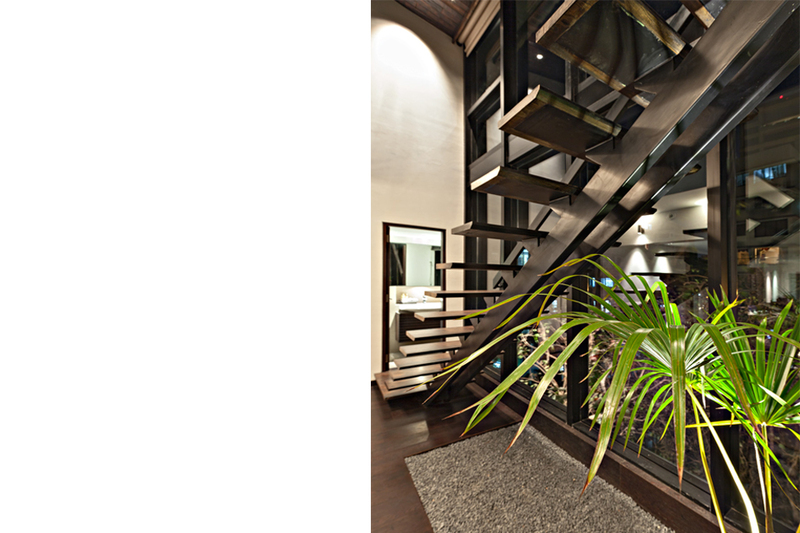 The design of this luxury penthouse reflects the modern minimalist style of the Architects & the needs of the client. 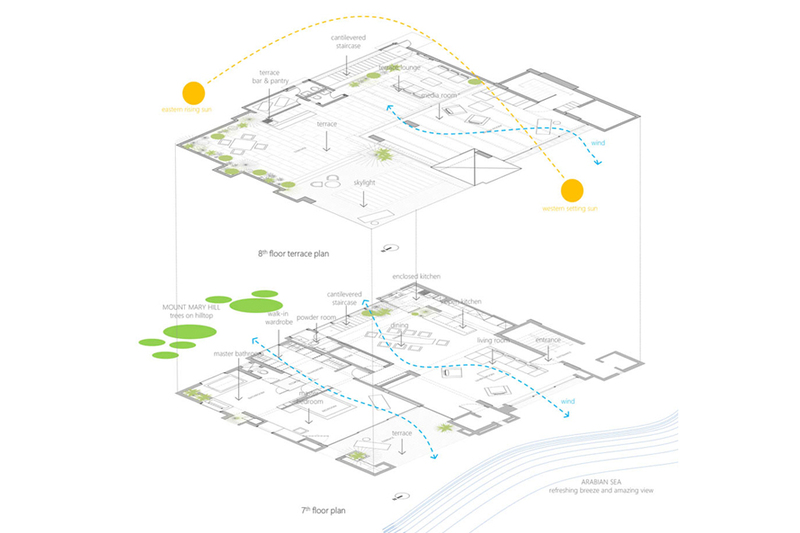 The open plan concept called for integrating indoor & outdoor spaces, maximising the benefits of the site location (sea side) and the climate. 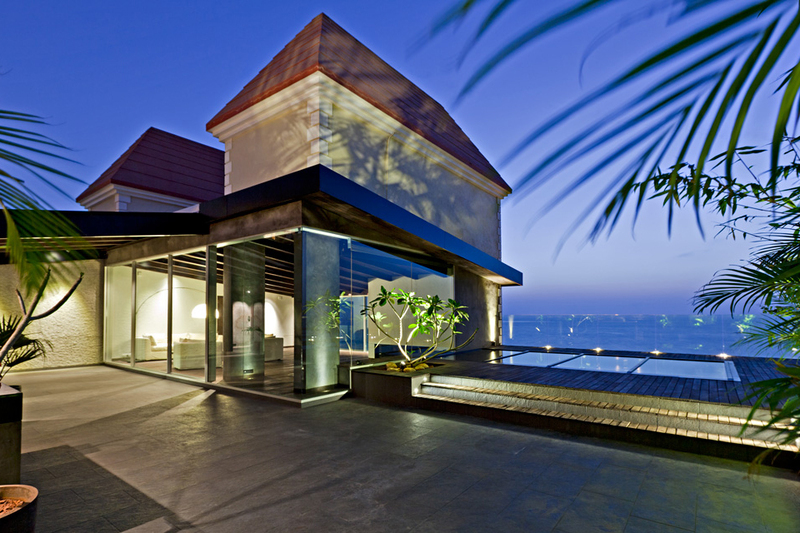 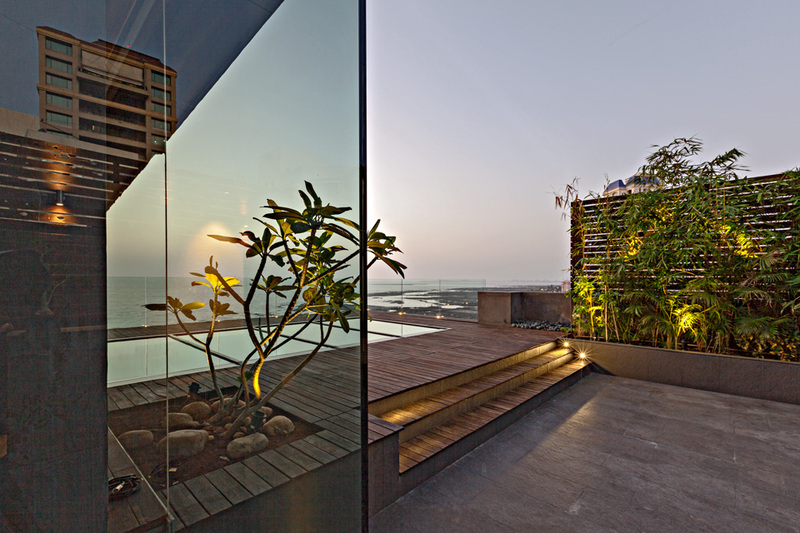 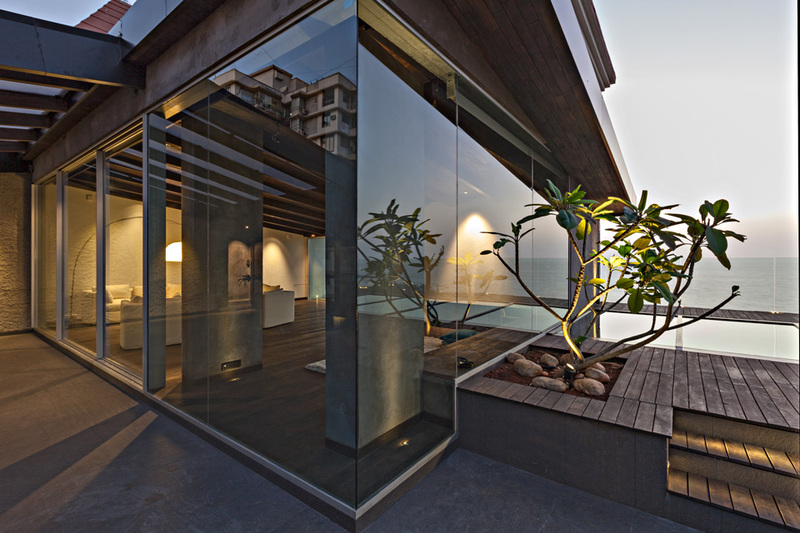 The hi-tech glass walled media room on top, complete with a large size projector screen, AV & automation, blurs the boundary between indoors and outdoors to expand the home’s sense of space: it overlooks the ocean as well as a spacious wooden deck with a skylight & a luxuriant garden terrace.